Circuit breakers replaced older fuses as a safety measure helping to control electricity in your home. They occupy a central circuit box in your home, which gets power from the local electrical grid and distributes it to the various rooms and outlets in your home. But how does a circuit breaker work? In your home, the power grid needs to deliver electricity at a steady voltage level, usually 120 and 240 volts. That keeps the wiring of your electrical system from heating up, which in turn prevents a fire or other safety hazard. If the voltage levels get too high, they can short out your wiring or cause a fire, neither of which is a desirable option. In the old days, this used to be governed by a fuse in a fuse box. When the electrical load got too high for a certain set of wiring, the fuse would “blow,” cutting off power to the overloaded circuit and preventing any further damage to the system. It worked well, but the fuses were one-time-only affairs. After they blew, they needed to be replaced with a new one. Circuit breakers got around that problem by using a switch mechanism. Electricity flows through an electromagnet in the breaker, which strengthens when the voltage levels rise. If the voltage rises too high, the electromagnet becomes powerful enough to pull a metal level that cuts off the flow of electricity to the wiring. That allows the breaker to be used over and over again, negating the necessity for messy and irritating fuse replacement. Of course, even circuit breakers run into trouble from time to time, which means they need the attentions of a qualified service technician to repair. 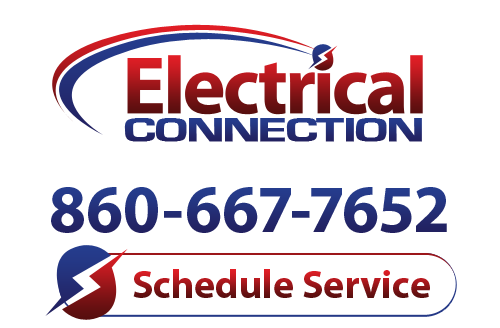 If you need electrical services in Newington, CT, call Electrical Connection, Inc. We pride ourselves on reliable service and we won’t rest until you are complete satisfied.